When we love, we love the fact that we love. 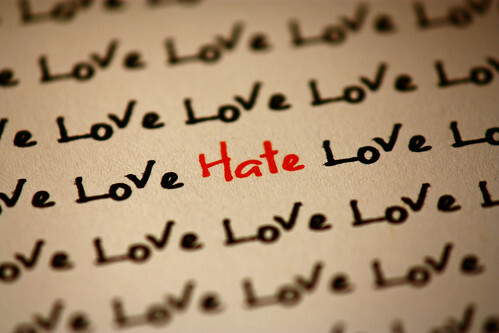 When we hate, we hate the fact that we hate. ** Auto-Exaleiphic/autoexaleiphic: auto is Greek for “self” and “exaleipho” is Greek for “wipe out, obliterate” = self-limiting (a term that the author of this blogpost coined for the purpose of this blogpost only). ***A caveat: initially we might not mind that we hate, we might hate righteously, with or without awareness, this is a period/phase of anger, when hate is really just fear; but eventually as the limbic/affective side of hate/fear fades away, hate becomes a kind of cognitive residue. Hate turns on itself. In sum, inevitably, hate spoils itself. OCPD - an Occidental Personality Disorder?